What has the DUP to fear from equality and respect? OVER the course of the last ten years, I, along with my party colleagues, worked tirelessly to ensure the political institutions deliver for everyone in our community. 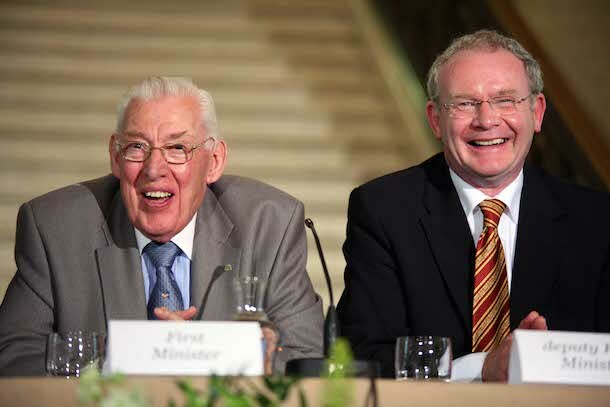 During that period I have worked with successive DUP leaders in our joint office as First and deputy First Ministers – firstly with Ian Paisley, followed by Peter Robinson, then latterly Arlene Foster. We worked to promote partnership, equality and reconciliation. We worked to see the potential of the Good Friday and other agreements realised. We negotiated agreements in good faith and honoured all our commitments. I personally took a number of key initiatives to promote reconciliation, partnership government and to create a shared and equal society. In contrast, the DUP, despite being nominally engaged in power-sharing government with Sinn Féin, never fully embraced the ideals which underpin the Good Friday Agreement. They played fast and loose with the joint nature of the joint Office of First and deputy First Minister. 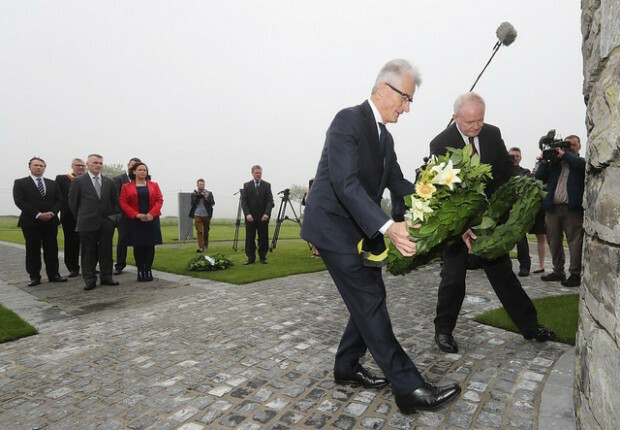 They also showed no regard for the identity, traditions and symbols of the nationalist and republican people. No serious attempt was made to reciprocate the initiatives around reconciliation that I and others within Sinn Féin have taken. Successive British governments have also failed in their responsibilities to the Good Friday Agreement and other agreements. They have totally failed to meet their obligations on addressing the legacy of the past, the introduction of a Bill of Rights, legislation to protect the rights of the Irish-language community, and many other issues. 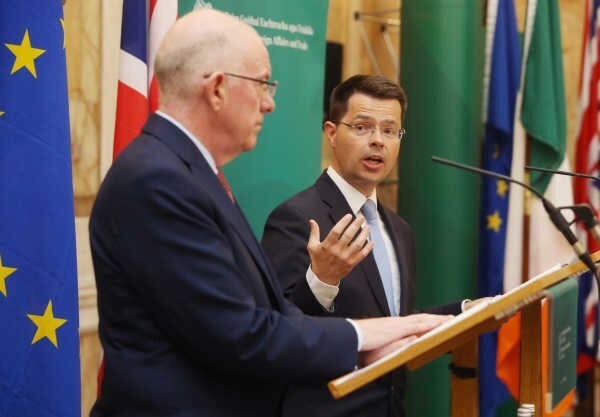 This – combined with their relentless adherence to a punishing austerity agenda and their determination to drag the North out of the EU against the wishes of the people – has deepened the growing crisis of confidence in politics and the political institutions. All of this provided room for growing DUP arrogance and lack of respect, whether that was for women, our LGBT community, ethnic minorities or the Irish-language community and identity. The DUP have embroiled the institutions in a series of financial scandals such as NAMA, Red Sky and, most recently, Renewable Heat Incentive. The allegations of incompetence, malpractice and corruption in NAMA and RHI have significantly undermined public confidence in the political institutions. Sinn Féin will not tolerate the arrogance of the DUP any longer. It is time to call time. I advised Arlene Foster to step aside, without prejudice, to allow a preliminary investigation to take place. She refused to do this. That is why I felt it necessary to resign as deputy First Minister, thereby removing her from office so that the people can now have their say. The arrogance of Arlene Foster with regard to the RHI scheme was an insult not only to nationalists but to unionists who are appalled by the approach of the DUP. The DUP-created RHI scandal has the potential to cost £500million over 20 years. This will be paid for by unionist and nationalist communities and everyone else in our society. But, in the aftermath of an election, there can be no return to the failed status quo. There needs to be a change in approach from political unionism and the British Government if the institutions are to function in a spirit of genuine partnership government. 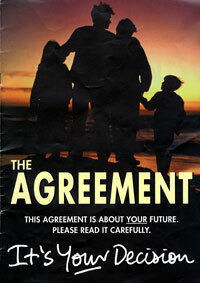 There is a role to play too for the Irish Government as a co-guarantor of the Good Friday Agreement. They need to step up to the mark and act as guarantors to the agreements, equality and parity of esteem. We need to get back to the principles of the Good Friday Agreement: equality, partnership and respect. Without these, we do not have genuine power-sharing institutions.